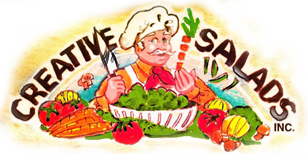 At T&L Creative Salads in Farmingdale, New York, our concentration is on the customer, providing only the freshest products made from quality ingredients. In order to deliver the level of service that we do, we have found that our employees have to be just as committed to customer satisfaction as we are. Our food distribution jobs can be the first step on the path toward careers in the industry, but they also require hard work and dedication. If you are qualified for any of the positions above, we invite you to apply. In the food service industry, the focus should always be on safety and quality. We expect all employees to have the skills required to get the job done right and have the willingness to learn new abilities, from administrators to entry-level staff. Employment with our company means that you have met or exceeded our high standards, and you are someone that we want to have around for a long time to come.